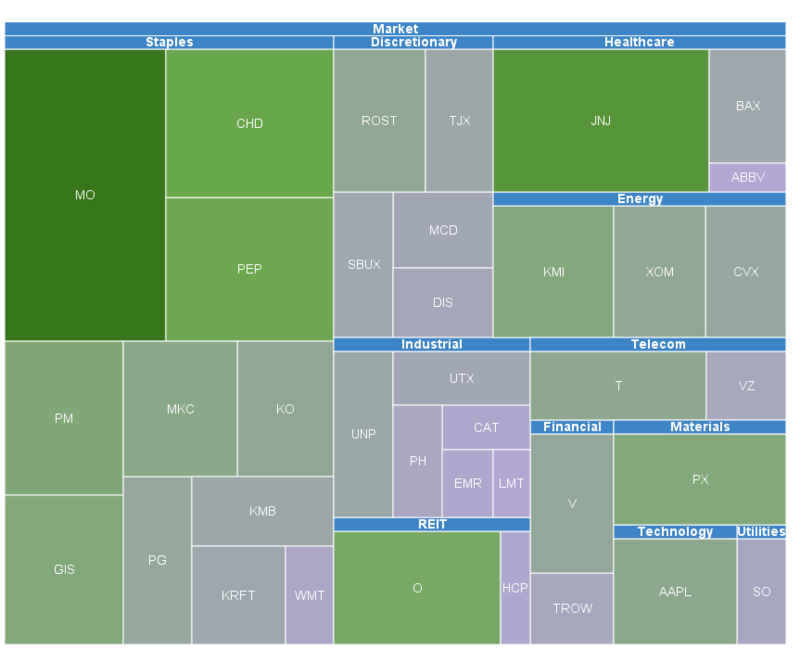 For fun I decided to plot a treemap in Google docs to see what my portfolio looks like in terms of company allocation. I always have a pie chart available in my spreadsheet but a treemap just looks much more interesting. I really would like to expand my REIT and utility holdings but right now is not a good time to buy in my opinion due to the coming interest rate hike. That's a nice visual of your stock portfolio! How did you do that in Google Docs? I just made a spreadsheet of my stock holdings and I think this is a different way of looking at your holdings. Or google "Google Docs Treemap"